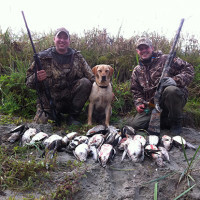 Join Coastal Alaska Adventures for the number one hunting experience in Alaska. We provide a level of luxury and customer service second to none. 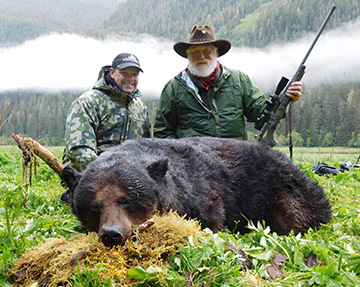 Master Guide Keegan McCarthy has not only been hunting in Alaska for over 30 years but has been guiding big game hunts for the last 20 years. And because of his extensive experience In Alaska, he has exclusive access to some of the best trophy hunting areas in the world. Keegan also believes in providing unparalleled service and commitment to all our guest. 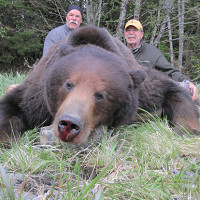 Hunting with Coastal Alaska Adventures will be like nothing you have experienced before and we welcome the opportunity to host your group. 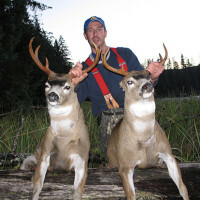 Our schedule speaks for itself, with our reputation and long list of repeat clients this has become one of the most popular hunts available for those with discerning taste. We have worked to create a hunt for every taste and budget. Please take some time to look over all our options and let us know if you have any questions or would like to book the hunt of a lifetime. View The SCI Pathfinder Adventure Hunt Video! WHY CHOOSE COASTAL ALASKA ADVENTURES? 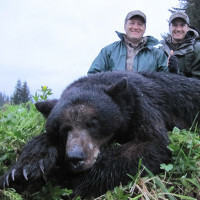 Almost every black bear makes SCI or P&Y record book!